Cesc Fabregas scored when Chelsea defeated Everton 2-0 at Stamford Bridge earlier in the season. 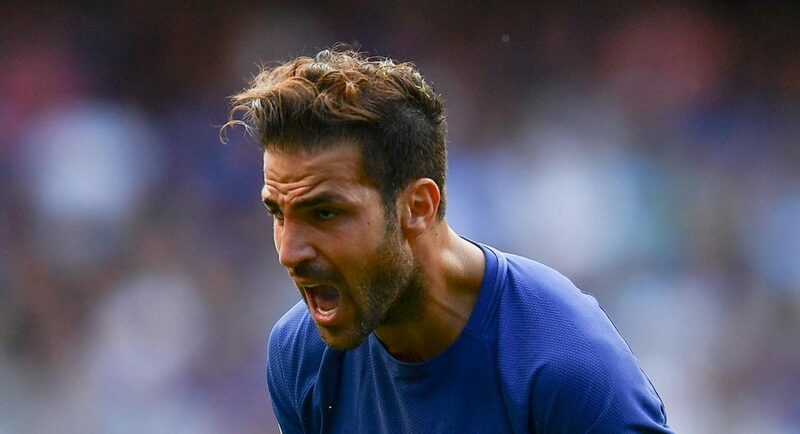 Cesc Fabregas believes the main reason behind Chelsea’s 1-0 defeat against Manchester City was down to Saturday’s opposition having an extra day to rest, the Metro reports. Former Chelsea player Kevin De Bruyne’s scintillating strike was the winning goal as Pep Guardiola’s side won three crucial points at Stamford Bridge. But when speaking to the Blues official website, Fabregas would vent his frustration about his team’s busy schedule last week. Despite these two tricky fixtures in a matter of a few days, Chelsea came out on top in both away games. A 4-0 win against Stoke City with Alvaro Morata scoring a hat-trick and a 2-1 win against Atletico Madrid in the Champions League at the Wanda Metropolitano as Michy Batshuayi scored the 93rd minute winner. The Spanish midfielder says that his team gave it their all and that the defeat that sees Chelsea fall six points behind the front running Manchester clubs was inexcusable, as reported by the Metro. Fabregas added that Man City are a great team after what was the Citizens toughest test of the season on paper even though Chelsea looked toothless at both ends of the pitch in what was a crucial match for both teams. Thankfully the international break has come which gives Antonio Conte two weeks to plan for the game against Crystal Palace who have lost all seven league games so far this season. Man city ate their cake of glory but I still believe on Chelsea!!!! The season is still fresh …..